We are a trusted and well established company in the field of manufacturing and supplying high quality leather Handmade Laptop Bags in market. 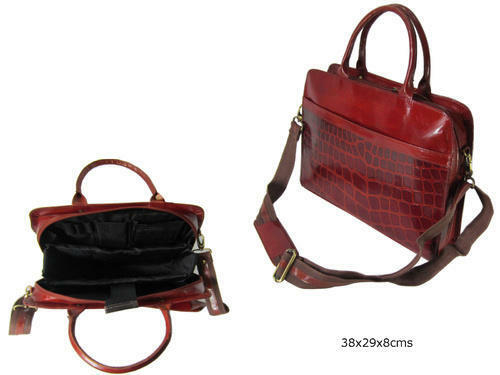 We use best quality leather and professional labor for these laptop bags. There is an extensive demand for these laptop bags due to their beautiful handwork and professional look. These laptop bags are very easy to carry and comfortable. Along with this, these laptop bags are offered at reasonable prices in market.